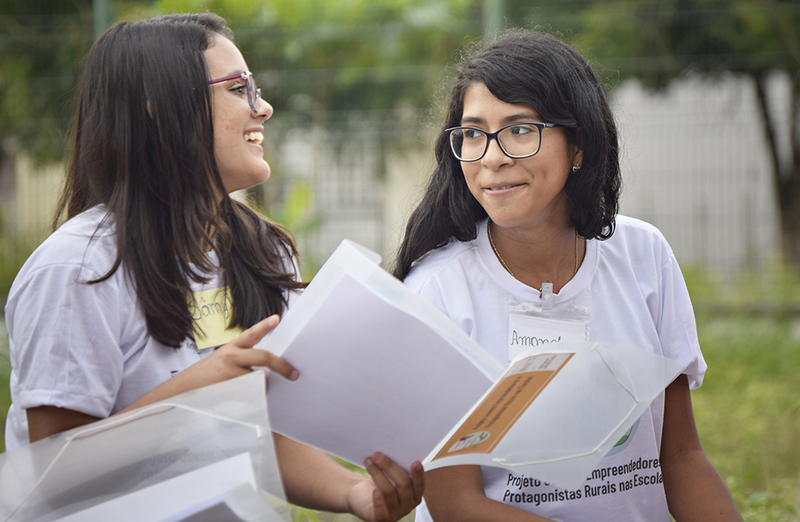 During the year of 2018, the Economic Development Agency Local (Adel) benefited, through the project young entrepreneurs and Rural Actors in the schools, about of 400 young people from 15 a 17 years and 50 teachers from four public schools in the interior of Ceará – EEM San Sebastian in Apuiarés; EEM Waldemar Alcântara in São Gonçalo do Amarante; MES Etelvina Gomes Bezerra on Pentecost; e, EEFM Edit Alcantara Bike in General Sampaio. The project integrates the stock portfolio of the Rural young entrepreneur Program (PJER), aimed at the development and entrepreneurial training to young people in situations of vulnerability. The PJER supports young rural, that, commonly, are forced to leave their communities in search of a better future. Through education contextualized, the sustainable living workshops held Adel, local development, rural youth entrepreneurship, social role, human rights and coexistence with the climate of the region. The aim was to present to the students and teachers concepts, tools and approaches, to be incorporated into formal and content in daily school. Arnon Vieira, one of the young people benefited, account that was rewarding your participation in the project. "With the workshops learned a lot, issues such as our rights. With this project we opened a little more our knowledge and our look at things typical of our Northeast ". 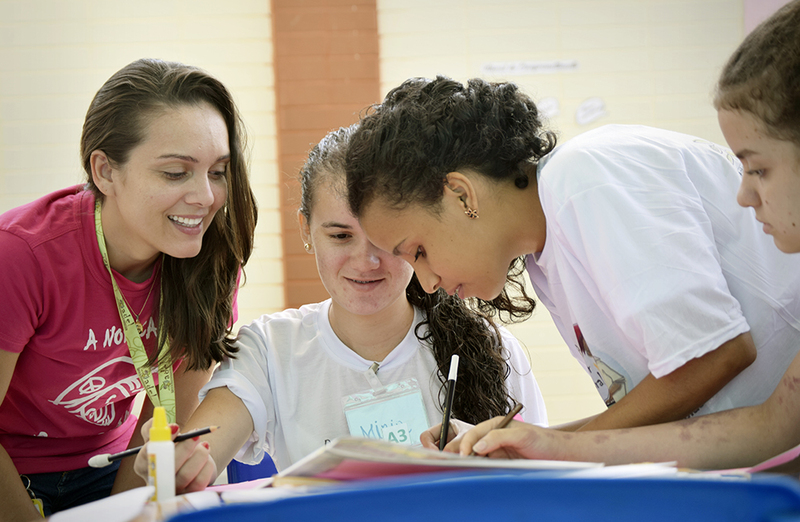 In addition to workshops, four educational exchanges were carried out in Botanical State Park of Ceará and a seminar to discuss Entrepreneurship and Social Leadership in schools. During the seminar, the young people presented micro projects produced in the workshop of innovation and Environmental Technologies and addressing the topics bullying at school, environmental education, public inclusion LGBTQ + in the classroom, combating drugs, empathy in school get-together, among other. 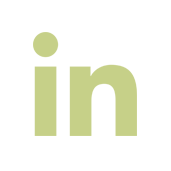 The idea is to deploy starting this year, the micro projects in schools. Aurigele Alves, Program Director of Adel, claims that the initiative represented a unique opportunity in the school life of adolescents and young people. "More than access to cross knowledge basic curriculum, the young people had the opportunity to exchange experiences, ideas, plans, anguish, dreams and various knowledge. This brings a special and differential character to this project, highlights the importance that he has represented each participant with regard to your critical development in relation to their schools, communities and society as a whole ", emphasizes the Director. The project also includes the development of educational pamphlets about the themes of the workshops. This material will be distributed in schools benefited and hoped that this action be reapplied and more young people have access to knowledge of social impact, Economic and environmental. The project young entrepreneurs and Rural Actors in the schools was the result of partnerships with Unesco (United Nations Educational, Science and culture) and Rede Globo by Child Hope, with Rights Defense Council of Child and Adolescent Ceara (CEDC / EC) and the State Department of Education (SEDUC).